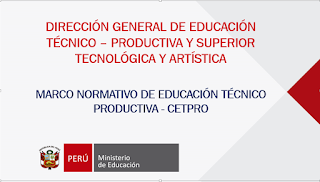 "MANTENIMIENTO Y REPARACION DE BICICLETAS"
Etiquetas: COMUNICADOS, TALLER "MANTENIMIENTO Y REPARACION DE BICICLETAS"
ESTIMADOS COLEGAS DE CETPRO, SE LES ADJUNTA AHORA LA R.D. 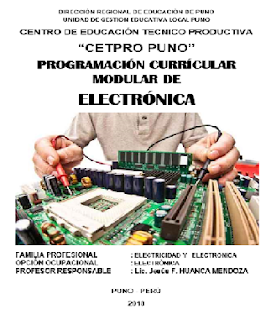 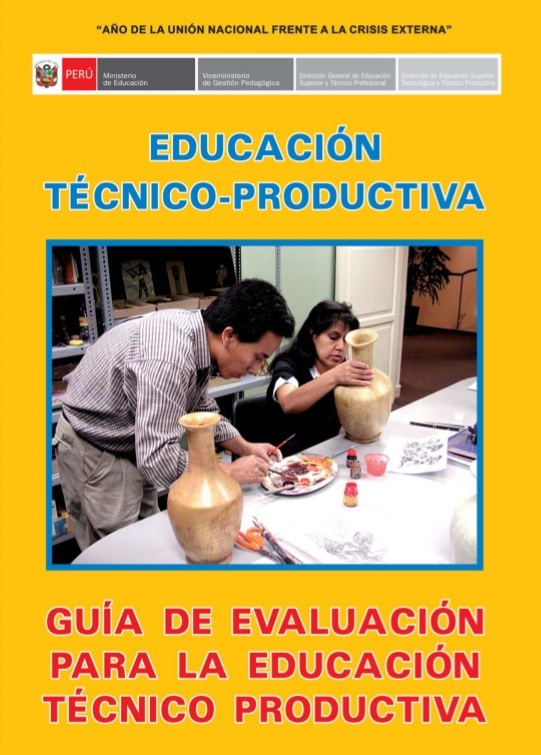 CORRESPONDIENTE AL PROCEDIMIENTO DEL EXAMEN TEORICO-PRACTICO PARA OPTAR EL TITULO DE AUXILIAR TECNICO DE LOS ESTUDIANTES DEL CICLO BASICO DE CETPRO. ESTIMADOS COLEGAS, LES PRESENTAMOS LA DIAPOSITIVA DE NORMATIVIDAD DE ETP-CETPRO, PARA QUE SIRVA DE GUIA Y ORIENTACION EN LA FORMULACION DE LAS PROGRAMACIONES CURRICULARES MODULARES DEL CICLO BASICO Y MEDIO Y PODER REALIZAR UNA OFERTA FORMATIVA REAL Y ACORDE AL CONTEXTO DE CADA CETPRO.